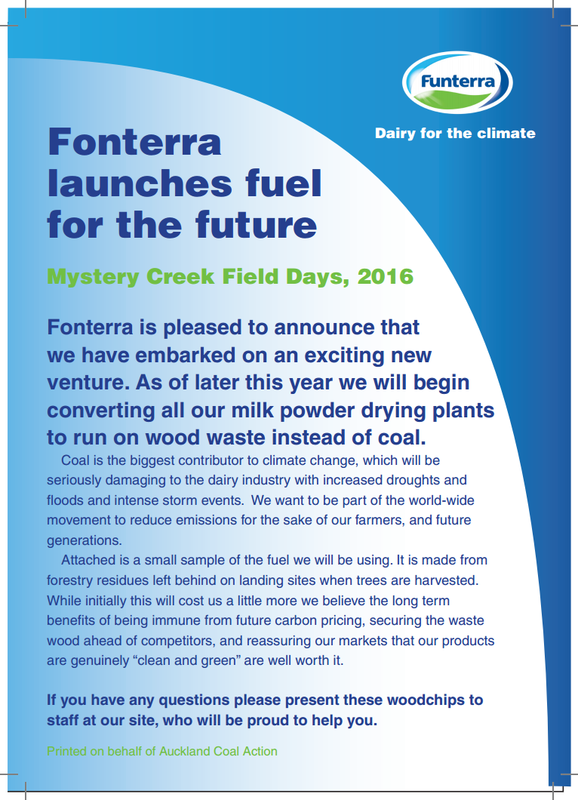 Mystery Creek field day visitors were yesterday greeted with leaflets advertising that Fonterra is about to get out of using coal to dry its milk powder. 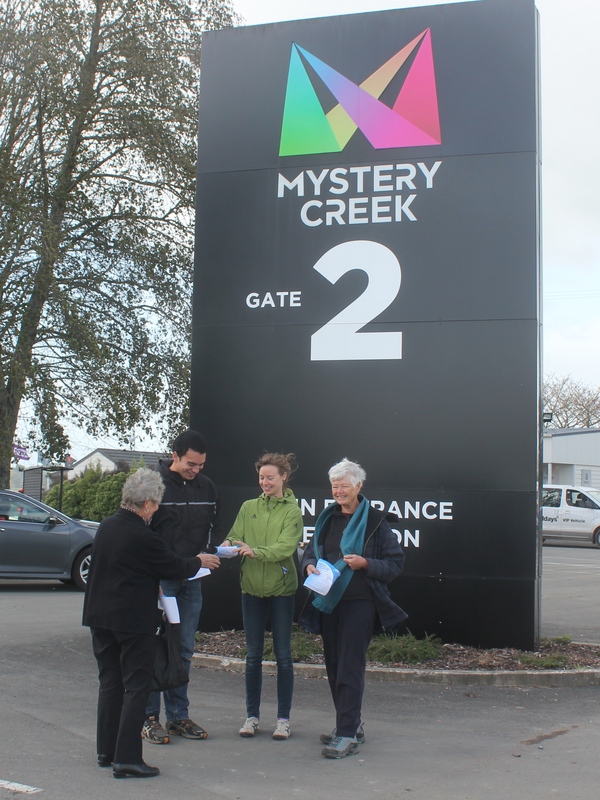 Members of Auckland Coal Action handed out nearly 2000 fliers to Mystery Creek visitors yesterday, fliers that announced Fonterra was getting out of coal and switching to the “fuel of the future” – woodchips – instead, and had small bags of woodchips attached. They invited people to ask Fonterra about their fuel for drying milk powder. Fonterra uses more than half a million tonnes of coal a year to dry milk powder, and this total is growing as it builds new plants. At the same time NZ farmers are being devastated by severe droughts yet climate change has only just started to make itself felt. “Climate change is the biggest threat to our farming future, medium and long term” said Fitzsimons. Residues left on forest landing sites after harvesting trees can be chipped and partly dried and used as boiler fuel. There are companies willing to do this and it happens on a smaller scale – for example at Otago University and some schools. There are companies that will source, collect, process and deliver to markets. We know Fonterra has been in touch with them but nothing has happened because coal is so cheap. Coal is the biggest contributor to climate change, worldwide. “Coal is cheap because it doesn’t have to pay for the environmental and health damage it does” said Fitzsimons. “It is effectively subsidised by the environment, and in the end by all of us”. Fonterra was sufficiently worried about its reputation that Security Services and police were called to remove the leafleters, not just from the Fielddays site, but from the public roads surrounding it. 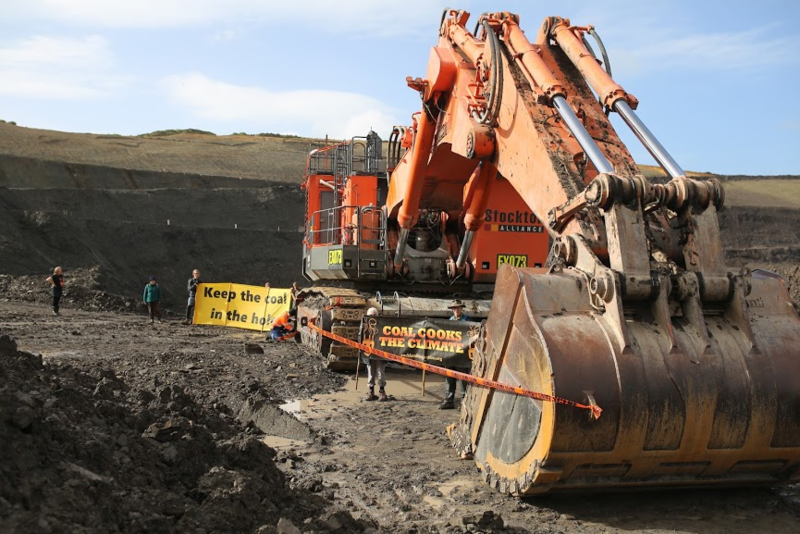 Auckland Coal Action is committed to phasing out coal to protect the climate, in a way that allows workers and communities to develop alternative forms of economic development. It has never advocated for the closure of any existing mine. A tongue-in-cheek poem inspired by yesterday’s action. their days of burning coal are numbered few. to ease the burden of our climate’s pain. since mainstream media stories give no clue.